Australia’s health system is highly fragmented, making it difficult for patients to navigate. Devolving primary care to the states and territories would better align health services, increase efficiency, and reduce the disruption to continuity of patient care. The development of ten national standards for mandatory hospital accreditation represents an important element of the safety and quality improvement architecture of Australia’s health system. Expanding the scope of the standards to take in aged care, mental health services and primary health care should be a priority. 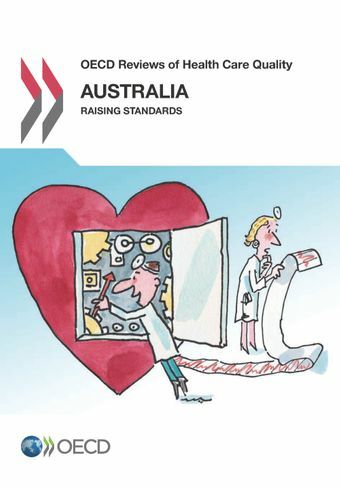 Australia’s national system for regulating 14 health professions makes Australia a leader among OECD countries. The system includes annual registration linked with compulsory continuing professional development, and a website that consumers can use to verify the registration of health professionals. Expanding the system to include other health professions should be the next step. The existence of areas of extreme remoteness has challenged Australian health service delivery in a way that few countries have experienced. The country heavily relies on foreign doctors, and has experimented with changing scopes of practice and innovations such as telehealth to meet the needs of remote inhabitants. The quality of rural health care can be improved with strong governance, flexible funding, and by increasing the capacity of telehealth and other innovations. High-performing health services should be rewarded with greater autonomy.